Blockchain technology and cryptocurrency is hitting the world more strongly than ever today, probably for the first time since the onset of Bitcoins in 2009. Blockchain Money Transfer Application is a new spark in the financial sphere that is gaining fast momentum. 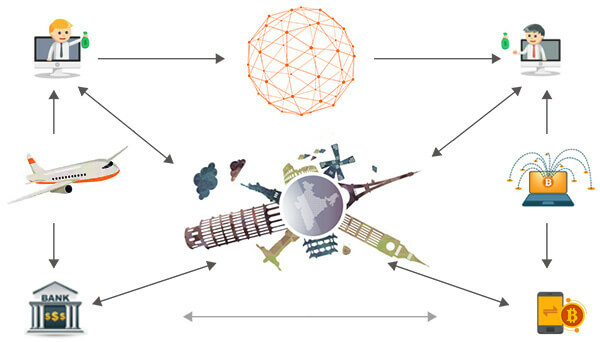 Money transfer, both locally and internationally by means of other cryptocurrencies through blockchain technology is fast gaining momentum, even among the pitted rivals, the banks and other centralised financial institutions for being extremely fast and less expensive when compared to other prevailing alternatives. Although a bit intriguing, let us see the possibilities that the technology offers and if it is actually feasible to do so. Blockchain technology is an absolutely decentralised digital ledger that is digitised to record all cryptocurrency transactions. 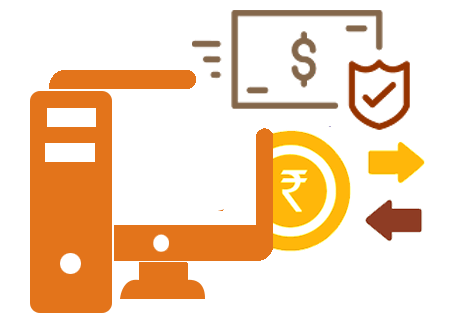 Though it was initially developed as a digital accounting option for digital currency, primarily bitcoins, it is now a part of many commercial applications now a days. In very simple words, the technology makes use of the blocks into which data is entered and stored. It can be accessed from all the systems that are part of the network but can be altered only upon mutual consensus. This imparts great sense of reliability to the system. The data in the system is secured to the extent that, for the data to be tampered, a hacker needs to access all the systems in the network at the same time. This is almost impossible a feat to be accomplished! Blockchains have been around for quite some time and has been creating a buzz ever since. Though it has a decentralised nature, blockchain technologies and its potentials to revolutionise the banking structure is being widely talked about in even centralised financial institutions. You can know more about blockchain technology and its uses. How is international money transfer done conventionally? Let us illustrate the process with an example. Consider a situation where money is to be wired from Country A to Country B, which are located in different continents. Four banks comes into play here, say Banks 1,2,3 and 4. Bank 1 in Country A where the customer deposits the money to be transferred internationally. Bank 2 in Country A which has a relation with Bank 3 in Country B. 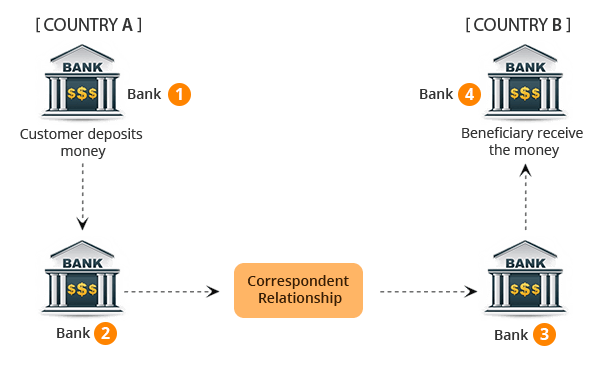 Bank 4 in Country B in which the beneficiary holds account. Why Conventional Cross Border Money Transfer is difficult? The banks charge fees for processing each transaction, thereby increasing the cost of transaction for the parties. Since the banks keep localised ledgers, there would be a need to pass on the message of debit from Bank 1 to Bank 3. This is done by SWIFT. The agency charges an amount as the processing fee from the banks. A single cross border money transfer involves a lot of other banks in between where receiving, collating, netting transactions and then retransmitting them to the next bank takes a lot of time and money. Is Blockchain assisted international money transfer feasible? Since the system in place now has the drawbacks, or rather shortcomings as mentioned above, the idea of blockchains and distributed ledgers have been accepted well among the banking sector. Instead of localised ledgers maintained by each bank, distributed ledgers would ensure that international transfers occur in an instantaneous manner and more transparency since there are no third parties involved. How does blockchain assist in international money transfers? The ledger is distributed and hence, the debit and credit details is conveyed directly between Bank 1 and Bank 4. Let us break down the entire system. We will omit the banks and consider the international transfer between two individuals. Imagine that you are in India and want to send money to someone in Europe. The process would go on as described down below. There has been a surge of these applications, given the positive vibes of international money transfer by blockchain technology. The apps allow you to transfer money from your mobile phones or tablets in a very easy manner. Let me illustrate the steps. 1 The user installs the application on the phone and create an account. 2 The account is funded with a cryptocurrency token. 3 The user transfers the money to the recipient’s wallet by entering his public key (Like Bitcoin Wallet Address). 4 The recipient can use the the cryptocurrency tokens just like traditional currency. Who are involved in the trade? There are a lot of companies around the world that leverages bitcoin technology to make international money transfers. Here is a list of top five companies. Anyone can transfer money to people across the countries by a mobile application. It is not mandatory to hold even a bank account to do so. All you need is a mobile application. You can store digital cash, valued in any currency, on their mobile phone by using a debit card. They can also transfer it from the phone through the application. Bitcoins are generally used as a back end infrastructure by these companies. HSBC did an international transaction in association with a startup R3 using blockchain technology. The transfer was for a shipment of soybeans from Argentina to Malaysia. HSBC issues a letter of credit to the dutch lender ING. As we know, the letter of credit is issued from one bank to another as a guarantee that payment will be received by a trader under a set of conditions. Usually, this would take a large amount of time, minimum of 5 to 10 days and involves a lot of paperwork and frequent communications between the banks and the parties involved. This particular transaction was done in less than 24 hours. 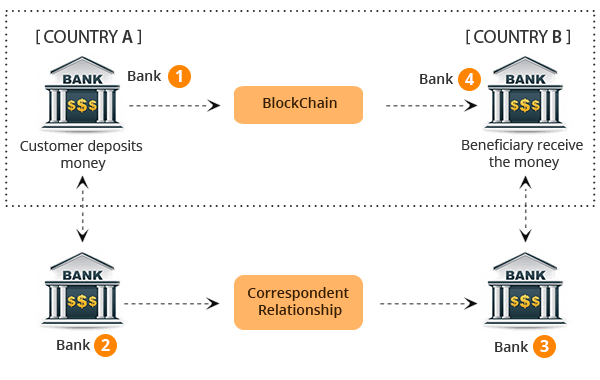 What are the features of Money Transfer Applications in Blockchain Technology? As with any new technology, blockchain assisted financial transactions were also approached with caution. The scenario has changed now, with banks shelling out loads of money on blockchain technologies. You too can have your own Money Transfer Application with Blockchain Technology.